Cloudy with showers. Low around 40F. Winds light and variable. Chance of rain 80%..
Cloudy with showers. Low around 40F. Winds light and variable. Chance of rain 80%. 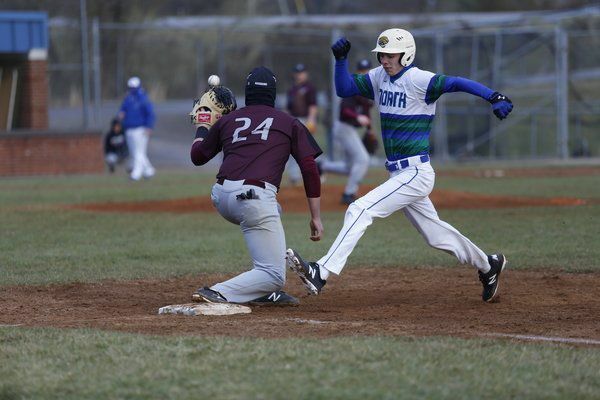 NORTH LAUREL — The North Laurel Jaguars bounced back from Tuesday’s loss to find an impressive 7-1 win over the Pulaski County Maroons on Thursday night. Thursday night’s win was the first win for North Laurel (1-1) since its season opener on Tuesday. “To get a win, that’s big, especially with a young team,” North Laurel Coach McWhorter said. On the field for the Jaguars were only three seniors and the rest were freshman or sophomores. Senior first baseman Caden Harbin sat out due to a pulled hamstring. “That was the reason why it was important to get a win,” McWhorter said. The Jaguars were able to find the first run of the night on a fielder’s choice to give North Laurel a 1-0 lead in the bottom of the first inning. In the bottom of the second inning, Brady Gilmore singled on a ground ball, allowing Kaleb Collett an opportunity for a run, 2-0. Though the Maroons added a run in the fourth inning, the Jaguars answered with three more runs in the fifth inning to take a 5-1 lead. North Laurel’s Hunter Nantz led the Jaguars to victory from the mound. 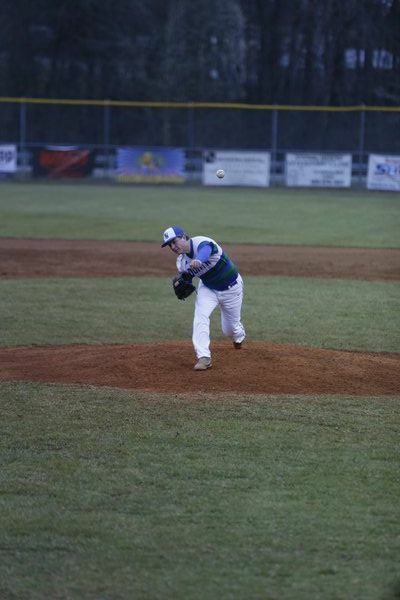 Nantz pitched for five innings, allowing only one run on four hits and striking out four. Alex Binder took over pitching for the final two innings, allowing only one hit and striking out four to put the game away for the Jaguars. The Jaguars racked up nine hits in the game, with Will Hellard and Eli Sizemore each finding two hits on the night. Seth McClure had three RBI. While McWhorter certainly hopes to see his Jaguars win their three remaining games this week, he knows that it’s not all about winning. The Jaguars will be back in action today, hosting Madison Central. Game time is slated for 5:30 p.m.
“Hopefully our pitching holds up and guys can do what they’re supposed to do for the innings they’re supposed to do,” McWhorter said.